Passwords are an inescapable part of internet life, whether you’re shopping, checking email or on Facebook. They’re the unsung heroes of our privacy online, the last digital barrier that stops others from accessing our personal and financial data. We have a lot of them to remember – according to research, the average person has 27 passwords to remember. That’s a lot to juggle. And they can be a hassle to reset. This is where password managers come in. They take away the guesswork of inputting your passwords online, and alleviate the stress of getting it wrong and having to jump through security hoops every time you want to log into a site. They do all the hard work for you. In fact you won’t need to remember any passwords ever again – a password manager will handle that for you, and you can rest safe in the knowledge that your details are well protected. They can also work across multiple devices, so whether you’re on your laptop, tablet or phone, you’ll be covered. Of course you want the best password manager out there, but how do you choose? Our reviews will help you decide on the right password manager for you. By following a strict testing procedure, we keep track of which ones are worth your time and which ones you should avoid. Security, features, price and support are all important factors in our testing, and we score each password manager accordingly. Dashlane or Lastpass, 1Password or Sticky Password, we reveal all. 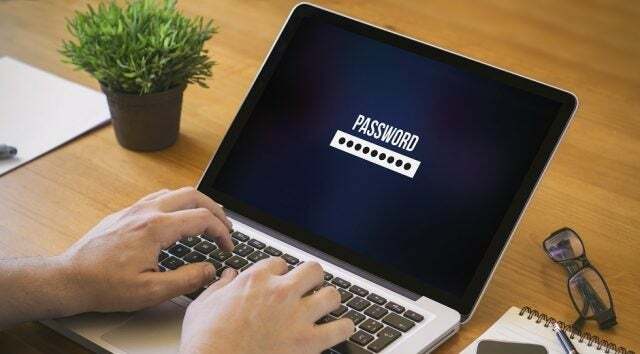 A password manager is the perfect tool for those who struggle to remember multiple passwords, and often find themselves requesting reminders to log into their favorite sites. It’s also a great way to improve your online security, even if you have the best memory for passwords in the world. The best password managers can store other information in addition to passwords, alert you immediately if a login may have been compromised, as well as help you strengthen the passwords you use. Find out more about password managers in our beginners guide. Still relying on ‘passwd1’ or ‘123456’ to safeguard your logins? If so, it’s definitely time to step up your security and choose a password that won’t take seconds to crack. But how? We explain how you can create and start using the most secure passwords. Password managers also have built-in tools that will help you generate a robust and secure password. This means that you don’t have to rack your brain trying to come up with the ultimate impenetrable series of letters and numbers. See our guide – How Secure is My Password? How Much Do Password Managers Cost? If you’re wondering what’s the price of the ease of mind that using a password manager would give you, you might be surprised to hear that they are modestly priced. Using the subscription model, password managers start from around $3 a month. You can usually get the cheapest deals by signing up annually rather than paying month to month, and we have struck deals with some of the main providers to get you the best deal. As data breaches continue worsening, one of the best expert-approved solutions is a password manager. Here, we explain how much you'll pay for 1Password, one of the best managers on the market, as well as which plan might be right for you. 1Password is a simple to use password app that can store all your passwords and generate new ones. Is it any good? Find out in our full review. Want to store all your passwords securely? Read on to learn why Dashlane is one of the best password managers you can choose, thanks to its rich features, excellent security and simple ease-of-use that makes it easy to get up and running. We review LastPass and take a look at its features to find out if it really is the ultimate solution to the evergreen problem of forgetting your password. We also rate LastPass against its main password manager rivals, Dashlane and 1Password. Sticky Password may not yet have the brand clout of LastPass, but it’s a great password manager to choose. It secures your passwords and other information in an encrypted database so that only someone with the master password can decrypt and read it. LastPass and Dashlane are two of the best password managers you can choose. Each can help you securely store dozens of passwords and log you into sites with the click of a button. But which is the best password manager? LastPass and 1Password are two of the biggest names in password managers, and deservedly so, with both offering excellent features to make your online experience as stress-free as possible. We've compared them head to head to see which one you should ultimately choose. Find out what a password manager is and why you need one if you have multiple accounts online that you want to remain secure.